Wengert may not fully comprehend the import of Luther’s catechisms, but he is able to present its treasure to the spiritual heirs of Luther, both old and new. 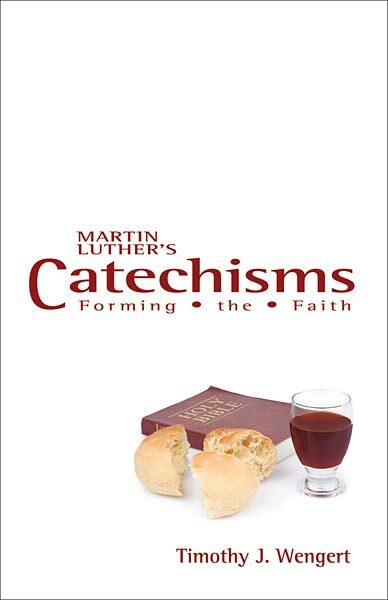 Beginning with a chapter on Luther’s contribution to catechesis (Christian instruction), Wengert takes the reader through the major divisions of Luther’s catechisms: each of the Six Chief Parts (Luther’s commentary on the Ten Commandments, the Creed, the Lord’s Prayer, Holy Baptism, Confession, the Lord’s Supper) receives its own chapter; a final chapter discusses the Table of Duties, Daily Prayers, and the Baptismal and Wedding Booklets. Throughout these chapters, the author emphasizes the pastoral nature of Luther’s writing: the catechisms are meant to form the faith. Luther’s catechisms are a personal confession of his own faith; those who hear its content are led to make their own confession of the same faith. Throughout his book, Wengert presents the historical context of the catechisms’ writing in an accessible way. Students of the Reformation Era will be familiar with the theological and historical conflicts that shaped the development of Lutheran theology. The author summarizes these respective conflicts which affected the way that Luther presented his confession of faith, especially in his Large Catechism. Wengert’s summaries provide enough information to those who are not well-versed in these conflicts, so that they can understand the significance of Luther’s catechetical language, especially his writing on the three sacraments: Holy Baptism, Absolution, and the Lord’s Supper. This is particularly helpful for lay leaders who are given instructional duties within Lutheran parishes. Parish ministers who read this book will note how Wengert draws out Luther’s own practical theology and pastoral practice from the catechisms’ texts. Much of the content found in Luther’s catechisms was derived from his own instructional sermons of 1528 and 1529 in his Wittenberg parish, a response to the dreadful spiritual condition of the people discovered in the 1527 Visitation of Saxon parishes. 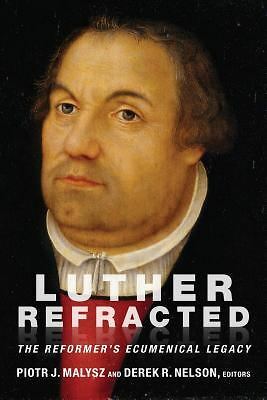 Luther’s concern for people’s souls is seen in his presentation of the Christian faith and the reforms he made to the popular theology of the day. Wengert notes this in Luther’s critiques found in the Six Chief Parts: self-chosen spirituality, Enthusiasm, the cult of the saints, rote prayer, rejection of infant baptism, auricular confession, penance, denial of the Real Presence, and the sacrifice of the Mass fall under Luther’s pen in his Large Catechism. The Saxon people’s faith would be formed and reformed by Luther’s preaching and teaching. Frequent experience with Christ’s forgiveness distributed through the confession and absolution would continually form the faith of parishioners. In another chapter, Luther’s comments about Christians who are negligent in receiving the Lord’s Supper generates discussion of how to address the troublesome problem of “inactive members” in a Lutheran parish. The author’s suggestions are a contemporary application of the timeless truths that can be found in Luther’s confession of the Christian faith. The basics of the Christian faith found in Luther’s catechisms can be allowed to form the beliefs of Christ’s disciples today, if the scriptural truths presented in them reach their modern (or post-modern) ears. Such is Wengert’s hope; perhaps that desire will be fulfilled among English-speaking Lutherans, as both major Lutheran publishing houses in America are releasing books on Luther’s catechisms. The author’s book will be a helpful tool for both Lutheran ministers and laity to bring that hope to reality as they take up the challenge to rediscover these treasuries of the Christian faith. Wengert mentions That I May Be His Own: An Overview of Luther’s Catechisms by Charles P. Arand (St. Louis, MO: Concordia Publishing House, 2000) in his preface as a valuable resource in studying Luther’s catechisms. Additionally, Concordia Publishing House is in the process of producing an English translation of Albrecht Peters’ five-volume Kommentar zu Luthers Katechismen, also mentioned in Wengert’s preface. These should lead to more appreciation of Luther’s work in his catechisms and its application to 21st Century Lutheranism. Thank you for your review of Wengert’s commentary on Luther’s Catechism! And for the tip on Arand’s. I’ve come to see Luther’s catechism as the heart of Christian formation and am using it as the guide for reshaping the congregation’s program of formation. These two supplementary resources will help move things along while keeping us true.